Summer Can't Wait: Stampede Time! We love taking in the festivities the city offers during Stampede week. This year was the first time we went to the Bowness Stampede Parade. It was the perfect thing for Bronson and so much more relaxed then going downtown. 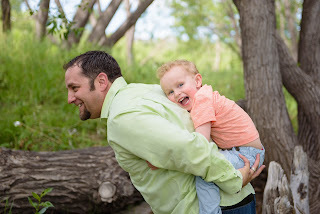 See my top 5 tips for Stampeding with toddlers here. A HUGE thank you to Angela and Eli for inviting us to join in on their parade tradition.